This is a great value! These kits ensure that you'll get the job done right. 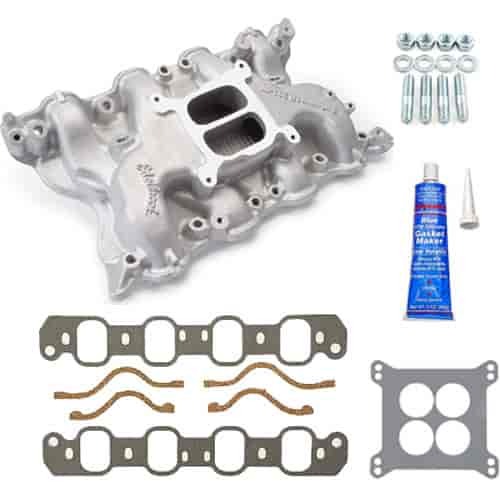 Each kit includes an Edelbrock intake manifold, intake gaskets, carb gaskets, a tube of blue gasket sealer and we also throw in a set of carburetor studs.